Explanation of gestational diabetes & personal reflection of what to expect if you are diagnosed during your pregnancy. Not to worry, it’s can be managed! Unfortunately, these words of wisdom are not entirely accurate. Every mom-to-be dreads the glucose tolerance test, which involves ingesting a high concentration of glucose (a form of sugar) mixed with water to see if you have gestational diabetes. It’s a grueling test because you have to sit in a doctor’s office or clinic for a few hours while they take blood samples before and 2-3 times after you drink the solution. Before the test, you have to fast for 8 hours and this alone makes mamas pretty aggravated but then with the drink solution you have to deal with a sugar high! Waiting for the results, you cross your fingers and hope that the last 24-28 weeks you’ve had a balanced, healthy diet. I knew that I had increased my carbohydrate and sweet intake more than before I was pregnant, but I was hoping the test would still be negative. Unfortunately, when I got the call from my doctor who then said I had gestational diabetes, my first reaction was guilt. How could I have done this to my baby? I want to make sure I disclose this up front, I am not a doctor, I’m just sharing my experience with gestational diabetes. My daily pregnancy routine consisted of exercising five times a week and eating healthy on most days. However, I knew I could have eaten healthier in the last trimester, but I didn’t (those darn cravings and ravishing bouts of hunger!). As I learned more about gestational diabetes, I realized that our bodies change so much during pregnancy, especially with hormones and weight gain. Don’t worry this is completely normal although it may make it harder for your body to produce or use insulin. That is the hormone responsible for helping glucose (sugar) leave your bloodstream and be converted to energy. This causes glucose to be built up in the blood resulting in high blood sugar (hyperglycemia). The good news is that gestational diabetes can be controlled by a change in diet and increase in exercise (if permitted), so I decided to make this a positive situation! My doctor immediately had me enrolled in the Sweet Success Program at Hoag Hospital in Newport Beach (covered by insurance thankfully!). The program was intended for me to get control of the situation as I began my last trimester. I was excited, (okay – so my inner science nerd way excited) to learn more about diabetes, the risks, and what to do to get my blood glucose levels in check. Most interestingly, I learned about the recommended diet for my personal needs and how food directly affects my body. Based on your personal information (weight and height) your Body Mass Index (BMI) is calculated which is important to determine what would be a healthy weight gain for your pregnancy. Through the gestational diabetes program, a meal plan was created for me by a nutritionist. This is based on recommended calories and types of food I should be eating throughout the day to control my blood glucose levels. Eat 3 small meals and 3 snacks a day! Breakfast is the smallest meal and should be eaten within 1 hour of waking up. Carbohydrates should be limited at breakfast. Your pregnancy hormones are at its peak and cause insulin resistance, making it harder for your body to handle carbs in the morning. Which means: NO fruit, fruit juice, milk, lattes or yogurt for breakfast. Even caffeine may increase blood sugars. Always eat a small balanced snack before bed. NO fruit or milk before bed. Not eating a snack will prevent the liver from releasing sugar into the bloodstream while you sleep which can lead to high sugar numbers before breakfast the next day. Don’t go longer than 10 hours from the last snack to breakfast. I found it easier to get in the mindset of eating healthy and trying to avoid those calorie-dense and nutrient-void foods whenever possible. I may indulge once in a while, but I did not eat nearly as much of the bad stuff. I even found that it made me feel pretty terrible! This was especially the case when I got the occasional high glucose reading after a meal. The good thing was that I made smarter choices the next eating occasion to get my glucose levels back on track. Contrary to belief, the recommendation is not to stay away from carbohydrates. It’s more about selecting carbohydrates that don’t spike your blood sugar and to eat them in combinations that include protein and fat. Get the recommended 28 grams of fiber per day. Eating foods with fiber helps to delay the absorption of sugar into your blood. So foods like apples, oats, legumes and high-fiber bread may have this effect. Drink at least 64 ounces of water per day to keep you regular and hydrated! Nourish you and your baby with balanced sources of energy and nutrients from food and supplements. For example, my night time snack before bed would be half a slice of Trader Joes high fiber bread, a teaspoon of nut butter or a small serving of nuts (6-8 pieces), string cheese or 1/4 cup of cottage cheese. This gave me a balance of carbohydrates, fiber, fat and protein, leveling my glucose throughout bedtime and keeping it low at my first fasting reading. General guidelines for the distribution of total daily calories: Carbohydrates (40-50% ), Proteins (20-25%), and fats (30-40%). I also took my daily prenatal vitamins and omega 3 supplements. Pregnant woman with gestational diabetes is recommended to eat 6 small meals throughout the day, about 2-3 hours between meals. Most likely the most dreaded part of having diabetes is taking your blood glucose reading 4 times a day, and yes, it involves needles. However after the first few days and figuring out the right settings on your device for getting the blood sample, it’s quite easy and painless, it becomes second nature to you. Fasting blood glucose – right when you wake up in the morning, not more than 10 hours from the last time you ate the night before. After breakfast – 1 hour after eating, measured by the last bite you take. After lunch – 1 hour after eating, measured by the last bite you take. After dinner – 1 hour after eating, measured by the last bite you take. These testing periods are important because it allows you to know how efficiently your body’s hormones are regulating the metabolism and uptake of glucose. As a side benefit, knowing that you have to test makes you accountable for making healthier choices at each meal (at least it did for me). You will be provided with the proper guidelines on what your blood glucose level should be below after each testing period. For me, it was less than 90 mg/dL (fasting glucose first thing in the morning), and less than 130 mg/dL after each meal. The Accu-check Nano Blood Glucose Monitoring System and lancet device used to give you your blood glucose readings are nice and compact, and super easy to use. I bring my kit with me wherever I go. However, I make sure not to leave the test strips in the sun or heat as it can damage them. I have to admit, I thought that having gestational diabetes was going to be a huge burden to my already hectic daily routine. Although after the first week of testing, logging my results and getting used to my new diet, I felt that this was a blessing in disguise. I felt less uncomfortable (feeling of fullness or indigestion) after each meal when following the rules. I ate more balanced and the amount that I needed (not what I wanted, which is usually a lot). I also felt that the smaller meals prevented me from the food coma and crashing that I used to feel. After my 31 weeks check up the ultrasound showed my baby was doing well and not gaining over the average amount of weight. I even stayed steady or gradually increased weight from a month ago, success! In a weird way, I was looking forward to monitoring my glucose levels, which will continue until after delivery (glucose re-test at 6 weeks) when your hormones re-balance and the doctor says you are no longer need to test. My goal is to maintain a healthy lifestyle because of this experience and prevent the onset of type 2 diabetes later in life! For those wondering how having gestational diabetes might affect the second pregnancy. I’m happy to report that I had my daughter Olivia in 2017 with no diabetes. Whoo hoo! Yes, it is hard to control the glucose when in pregnancy, sometimes prenatal vitamins will help, but most of time you should keep watch on your glucose from time to time. interesting that your measures are one hour after eating, whereas my numbers are the same guidelines but to be taken one hour after first bite. Wish my readings were based on the end of mealtimes! Would bring much less frustration to mealtime, particularly when I’m not trying to rush through my meal. Hi KP- Thanks for your response! I also had a hard time adjusting at first to not eating fruit first thing in the morning or at night for dessert. Eating a balance of high fiber, protein and some fat at each meal really helped me keep within my numbers. It’s tough but definitely helped me just eat what I needed through out the pregnancy and made me think twice about cravings 🙂 I hope everything is going well with you! I was given the same plan from Hoag but here is my confusion. I am prediabetic before pregnancy. I controlled my sugar by eating less carb then meal plan for non-pregnant woman. 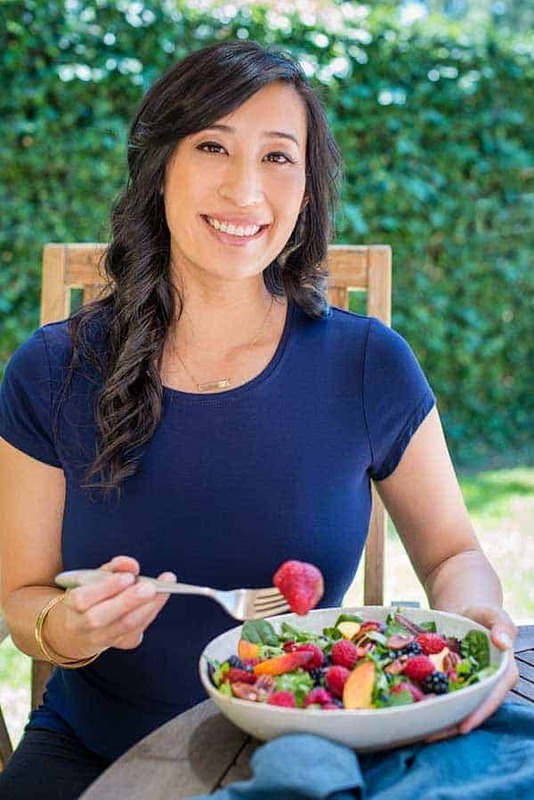 Now I am pregnant, the educator at Hoag told me to eat according to the sweet success program which is higher carb per meal compared to what I did before pregnancy. I was told I can’t eat lower carb than the program suggestions. But then my sugar spikes up dramatically. Do I have to follow the plan? Does anyone have same problems? I am not on any medication yet. Hi Hang- First of all, congratulations! From my personal experience, I had to play around the first few weeks to see what combination of foods worked together to keep my blood sugar on track. I always made sure to have a carb, protein and fiber together. Have you had your one on one with the nurse yet to let then know that they’re recommendations aren’t working for your particular case? You may be able to modify since you have noticed the spikes with the suggested plan. Hi Jessica – Thanks for replying. I totally forgot about posting a question on your site until now. They told me I can’t cut the carb too much less than 175g per day so I ended up taking medication. I am now at 30 weeks pregnant. My baby is 64 percentile. I notice I generally spike about 4-5 times per week since the beginning of the pregnancy. How often do you spike and how high are you spikes? My spikes are normally highest at 160, couple of times it went closed to 200. Hi! So glad I came across your blog about gestational diabetes, I was just diagnosed with it this week and I have to say, it freaked me out! I ate healthy and bad in the beginning months. Did my first glucose reading yesterday and my levels been normal! ? have my dr visit Monday so I will get more details then. After reading your post, I feel better at handling this gestational diabetes. Thanks for your post! Hi NOLA girl- I’m really happy to hear that your numbers are looking good 🙂 Those first few weeks can be challenging, figuring out what works to have a normal blood glucose level. I honestly learned so much and never ate healthier in my life! I have taken those tips and used them in my day to day eating now. You are going to do great! Hi, Jessica I’m so glad I came across you site. I’ve been struggling to find foods that keep me full. I’m only 16 weeks pregnant and a have a whole lot more to go. Its been emotional hard since most women are diagnosed later. I on the other hand got tested early because of family history. I dont see a dietician for another week. Hi Caitlin! I’m so happy that you found it helpful! You are an awesome friend for helping her find recipes 🙂 Let me know if you have any questions! Giving wonderful guidance to all ladies having gestational diabetes. 1. what will be the minimum gap for taking reading of fasting sugar? After how many hrs from last eating in night I have to measure my fasting reading? 2. After waking up in morning suddenly I have to measure fasting sugar or I can drink little water before measuring? 3.suggest me some bedtime snacks for lowering down my fasting sugar. Rightnow taking 2 3 almond, 2 3 walnuts and 3 4 black resins socked in water as my bedtime snacks. Is it ok? 4. Also is it benificial to walk 10 to 15 min before going to bed for lowering down fasting sugar? I dont want go for medication. I want to lowerdown by adjusting the food I m eating. Pls give your valuable suggestions. Hi Aditi! Thank you for your great questions! Just a reminder I am not a doctor, just sharing my experiences so your doctor can provide the best guidance based on your needs. With that said, here are a few ideas for your questions. 1) I took my fasting reading no more than 10 hours from the last time I ate. I’m not sure what the minimum time would be. But I usually went about 6-8 hours before eating my first meal of the day after taking my reading. 2) I remember just taking the test immediately after I woke up without drinking water. Please ask for your doctor’s recommendation. You could take a test with and without having water and see if there is any difference? 3) My night time snack before bed would be half a slice of high fiber bread, a teaspoon of nut butter (no sugar) or a small serving of nuts (6-8 pieces), string cheese or 1/4 cup of cottage cheese. This gave me a balance of carbohydrates, fiber, fat and protein, leveling my glucose throughout bedtime and keeping it low at my first fasting reading. I would eliminate the raisins because it has sugar. 4) My doctors always encouraged exercise as it would help lower the blood glucose, so I would give it a try for a day and see how it works for you. Wishing you the best of luck with your doctor’s appointment! Hi Jessica. . Eagerly Waiting for yr reply dear.. on 4th sep I have an appointment with my dr. Before that I want to control my fasting diet. Otherwise I am worried she might start insulin injections. Pls reply asap. Hi Jessica…thank you for your blog. When are the best times to snack? I was instructed to test 2 hours after first bite. I fear snacking will effect the results so when to snack in between meals is troubling me. You’re welcome Alyson! My program recommended eating 3 snacks a day, 2-3 hours after each main meal. It also recommended to not wait longer than 3 hours or your blood glucose levels could spike. For example if you eat breakfast at 7am, eat a snack at 9am. I hope that helps! Thank you, it does help! I decided to eat my snack after I test so that makes it 2 hours after a meal. Dinner time is not fixed so I’ll be sure not to go more than another 2 hours without a little something, like half a grapefruit and glass of water today. I have been miserable since I started this diabetes “monitoring” program.i love working WITH my doctors about a plan not being dictated to. There is no compromise with these programs. You bring your meter to every appointment, they hook it up to the computer, so they can see your numbers because obviously they don’t go on just your word. And they compare it to your meal sheets. I’ve never been ASKED how I feel about being TRACKED. I’m just expected to go along with it. Hi Stella! First off, congratulations on becoming a mom! I’m sorry that you are having a challenging experience. It definitely is a lot with all of the doctors and program visits, finger pricking and monitoring your foods when you really just want to eat what you want. I always just kept in the back of my mind that the healthier choices I made and all of the visits was for my baby, and it wasn’t something I had to track forever. Keep up the good work Stella! Hi Camillia, congratulations! I’m so excited for you to become a mother 🙂 I’m sorry that you were diagnosed with GD. How long are you waiting in between your last bedtime snack and waking up? I was advised to always have a snack before bed so that my blood sugar does not spike overnight. I also was not supposed to go longer than 10 hours in between the bedtime snack and breakfast the next day. For example, if I was planning to go to bed at 10pm, I would eat right before that and eat by 8am. Thanks Jessica for having a blog like this, I have been diagnosed GD, and I am 15wks pregnant, I am having a hard time or controlling my sugar, I have been injecting insulin every day, the 2 specialist doctors have different point of views or advised…as for food to take, I’ve seen dietitian, and she recommended me what is not exact the specialist given to me, I am having a hard time..huhhh..choosing the right meal plan…I have another problem bcoz I am acidic, I usually get hungered most especially during midnight…the dietitian recommended me to eat only small portion of carbo and 2tbsp of fat…i.am starving, I usually get too thirsty during too and always peeing…hope you can give me some advice regarding this predicament..thanks and GOD bless always…Happy Easter…. Hi Jessica. I really appreciate this insightful article. I’m 29 weeks and was diagnosed 2 weeks ago. I’ve had a few spikes, but generally within range. I’m so glad I found your story and your advice about the fasting meals bc those are usually my spiked numbers. I can’t tell you how encouraged I was to see how you managed. I hope to not be placed on insulin and continue with this diet management. I drink a small glass of milk without sugar before going to bed so that I don’t feel hungry at midnight. Does that increase blood sugar in GD. Thanks for sharing this! I am 28 weeks and have just been diagnosed with GD. I also feel guilt and am discouraged because I track all my macros and generally eat “healthy”. I am meeting with a dietician tomorrow to discuss the right meal plan for me, but I was wondering- when you say “high-fiber” bread, how many grams of fiber per slice do you consider high fiber? You are so welcome Jane! Congrats on baby, so excited for you! Per my GD class, high fiber bread is 5g grams or more. I ate oroweat double fiber bread which has 6g fiber per slice (still do and so does my son, he must have liked it in the belly). Great post! Glad to see that there are many others with GD too. I was wondering – when eating a meal, does it matter if I eat the protein or carb first? For example, for breakfast, I’ll have toast, eggs and an avocado Is there an order that I should be eating it in? Or does it not matter? Hi Shelley- Thank you! From the class I took it didn’t seem to matter so much what order it was eaten, as long as they were eaten together at the same period of time. I hope that helps! I have gestational diabetics and am on insulin, kindly let me know after breakfast, lunch and dinner is it required exactly one hour to test or it can be more than one hour and less than two hours. Sometimes I forget to check immediately. I’m so glad to have found your blog! I was diagnosed with GD at 12 weeks because I had GD for my first pregnancy 13 yrs ago so they wanted to check early for this 2nd pregnancy as I am in the high risk age group too(Im 38 yrs old) Were you clear of GD for your 2nd pregnancy? I had so many questions since I was diagnosed and had turned to searching online for answers. 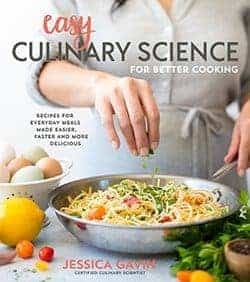 (I had seen a dietian but it was more general info and I had more questions that arose along the way as I did my bloodsugar tests n tried different meal combinations) So glad to have found your blog which answered many of my questions! Thank you! I have one question for now, the safe range for 2hr after meal is 60-120, im always near 120 though below, is it not very good? my lowest was 86, im never near the 60-90 range. will i be considered for insulin even when my reading is safe but because they are in the high end range? Congratulations on your second baby! I was negative for GD with my second child. I think if you are within range you are ok, but if you are concerned, please consult with your doctor. When is the due date? My duedate is Aug 10. I still have a long way with this diet control. I have another qn. Im told to eat 3 meals and 3 snacks everyday. is it ok to hv 4 snacks because Im usually easily hungry between the long time span fr lunch to dinner. like if i eat lunch at 1pm n dinner at 7pm, i will be very hungry if i only ate one snack in between. is it ok to eat a snack every 2 hrs betw lunch and dinner then? like a snack at 3pm n another at 5pm. will it mess with my bloodsugar if i eat snacks too frequently? Hi Geok- I was told to eat meals/snacks 2-3 hours apart, so I think if you are spacing them out that way you should be okay. You testing results should let you know if you are on track. I think it’s worse to wait too long in between eating because then your blood sugar will spike. Thanks for your reply Jessica! I just went for my 2nd doctor’s appt this morning and I ask about the readings and if I should cut down on my portion size since my readings are always near 120. The doctor said not to cut down and just continue what in doing as long as the readings are below 120 all is good. Guess i can still eat as much as before though i still feel my portions are bigger than normal portion size, but that keeps me fuller longer. Hi Tara- Congrats on baby, so excited for you! I believe I did lowfat mozzarella string cheese and I typically did a nonfat greek yogurt. I like the dannon oikos brand called triple zero because it was high in protein, no added sugar and no fat. Thanks for sharing this information. This is my first pregnancy and I was diagnosed with GD. I have not started the blood test yet, but started to already follow a diet. I wanted to know do you walk right after you eat? Or you give it 5-10 mins then begin your walk or exercise? Hi Tiffany- Congratulations, I’m so excited for you! Typically I would give myself some time to digest before taking on any relatively vigorous exercise. Also another question is that, after your walk do you take your test soon right after? Or do you give yourself to settle first then take the blood sugar test? Hi Tiffany- I usually exercised around 3pm on the weekdays and 9 am on the weekends. So the weekdays I didn’t test because it was during the snack times (I only test in the morning, lunch and dinner). On the weekend I would eat around 7 am, test at 8 and then work out. If you eat, go on a light walk, and come back, I would just make sure that you test no matter what an hour after your last bite. Did your numbers spike after you delivered?? Or should they be normal?? So glad to find this article. I’m also in the Newport area and have been to two Sweet Success classes. I was also so bummed to get the diagnosis but know that ultimately it’ll be for the best…plus it’s helpful to see other women feeling exactly as I am! Hi jessica.i have been diagnosed with gdm…i am.strugling managing my fasting levels and 1hour post breakfast levels.my post lunch and dinner are excellent.i read ur article.for fasting there has to be a minimum gap of 8 to 10hours …but i am finding it very dificult ..i feel very humgry at night…and end up ending something..so how do i manage not to eat anything for 8 to 10hours to chrck my fastin blood sugar. Hi Ruqsy! I think the max is 10 hours fasting, I don’t know if there is a minimum, please check with your doctor. What snack do you eat before bed? Maybe you need more protein and fiber so your not as hunfry in between last snack and breakfast? Great article. I have recently been diagnosed with GD. I am finding it difficult to keep down my fasting numbers. Can you please tell me if the fasting test should be done 8-9 hours after the last meal or 8-9 hours after the bed time snack? Hi jessica i m glad i found your blog during my first pregnancy i was so upset when i diagnose with GD I also went to hoag newport for diebetic classes i was on diet control and sugar was under control this time i m again diagnose with GD everything is going well but one of my friend who is on insulin and also pregnant tells me i m sure you will going to have insulin during last months and it hits my mind makes me upset and now i cant control my sugar it spikes high range 3 times because i didnt care what i am eating or say i cheat my diet plan i dont understand why people said bad words and how could i stop thinkig of iti fear so much while eating meal… i really dont want to go for insulin.. I will definetly add some fiber in my diet..
NO fruit No Milk at night helped me low down my blood level’s during fasting.. Terrific article. I just got a fail on my 1 hour glucola test and am dreading the 3 hour one! So, I plan on starting this and following nutritional guidelines now and make sure my diet and exercise stay in check! Thank you for a well-written and concise article on this as well as some delicious recipes! You’re welcome Kris, good luck! Congratulations on your pregnancy! How long do you go between your last snack before bedtime and when you wake up? Sometimes the level is higher if you wait too long to eat. I would definitely let your doctor know your scenario and if they are concerned.